It’s no secret that employees who receive recognition are more likely to be happy workers. Motivated employees have higher retention rates and greater levels of job satisfaction, thanks to the understanding that special achievements will be recognized. Salary increases and one-time bonuses are expected, but at the same time, University of Buffalo research indicates that employees are rarely motivated by compensation alone. In fact, a 2011 study by Globoforce Motivation Worldwide indicates that 65% of employees already satisfied with their employment would work harder with better recognition. Unsatisfied employees in the same study indicated high levels of resentment towards their employer, and minimal incentive towards putting forth their best effort. The U.S. Department of Labor supports this study, as their own research indicates that 64 percent of working Americans quit their jobs, even in the midst of economic recession, because they don’t feel appreciated. So what can managers and HR directors do to ensure their employees feel recognized? The first step is establishment of a timeline for acknowledgement. A Bersin & Associates Research report, “Making Recognition and Rewards Matter: Five Practices to Drive Better Business Results, “found that 71 percent of highly engaged employees work in organizations that recognize employees at least once per month. Recognition often includes promotions with salary increases, applause, articulated thanks, and handwritten notes or cards. But what options exist beyond what employees generally expect of their employer? Studies show that tangible gifts workers can hold in their hands have a lasting impact on morale. Gifts might include a set of company coffee mugs or drinking glasses, T-shirts, personalized pens, or chocolates embossed with the company name. This type of recognition should be presented consistently for minor, but still noteworthy, achievement. That way, employees can expect to receive the gift after hitting a milestone as an individual, or as part of a team. With gift cards and certificates, a manager has the opportunity to acknowledge the employee, and honor individual interests. A gift certificate that considers an employee’s favorite restaurant, sports activity, hobby, or travel plans are perceived as especially thoughtful. Though it’s also possible to present all employees with impersonal gift certificates to a nearby restaurant, for example, this is unlikely to instill the same sense of being appreciated as a personalized gift card. 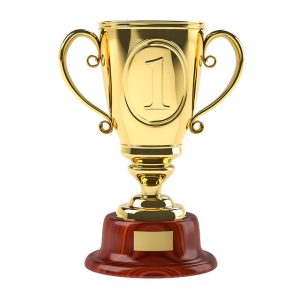 A personalized plaque or trophy that can be proudly displayed serves as a physical reminder that the company recognizes extraordinary effort. These awards can be simple designs, or elaborate sculptures with personalized nameplates. Plaques can also be large office displays where employee names are added once they achieve performance milestones; larger plaques with multiple names can also honor members of a distinct team. Recipients might choose to display the honor in their office to instill confidence in potential clients, or at home as an ongoing reminder that labor is recognized. Career oriented social media platforms provide managers with a unique opportunity for recognition: writing a public employee review. This allows the manager to highlight what’s exceptional about the employee, and a willingness to let everyone know. While this might seem like announcing a star employee to the competition, it also shows that the company is confident in their ability to retain, and recognize, employees. Managers and HR directors should work collaboratively to formulate different tiers of distinction, and unique ways to recognize star talent. These honors should consider your employees as individuals, and as part of a team. With a solid program and a consistent timeline, your company will enjoy the efforts of a motivated, happy workforce. Today, our hand engraver, Tony Gilson, is engraving a high-end sterling silver Lunt baby cup for a customer. Though at the beginning he’ll be showing off different styles of engraving that can be put on this cup, different kinds of monograms and a script lettering for a possible full name. A customer wanted a pair of sterling silver earrings to be engraved with the tattoo on the back of her neck for her daughter. Tony Gilson shows how to make an identical set of earrings through hand engraving. Tony’s hand engraving prowess has been used for everything from movie trophies to awards for the horse races in Kentucky. And while the physical Gilson’s Engraving Inc, is located in Cincinnati, Ohio. They can ship personalized pieces all across the country, and even the globe. In this short video, Mr. Gilson talks about how he goes through the steps to engrave a Tiffany & Co sterling silver pendant with a monogram. A monogram is a style of engraving where the initials of the name are used first, last, middle, where the last initial is the primary focus and a larger letter. Pieces like this and others can be engraved by both machines and hand engraving at Gilson’s Engraving.